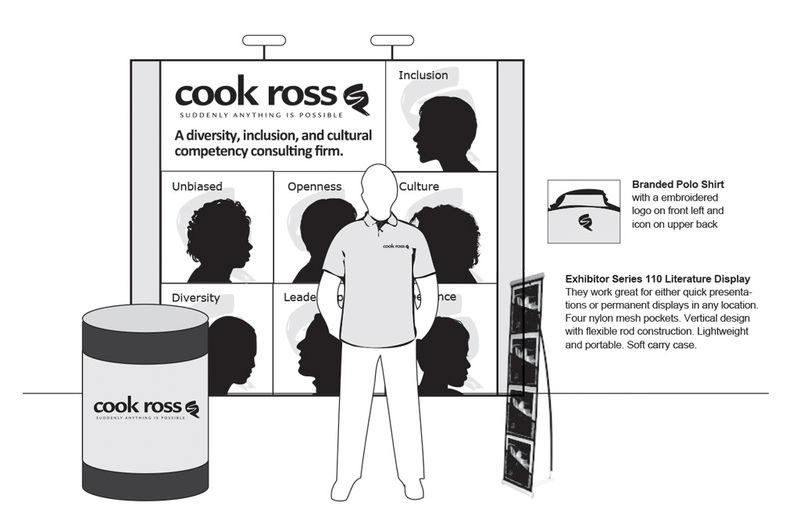 Cook Ross, a consulting and training firm, needed help re-designing their trade show display, which revolved around its cultural diversity, inclusion and competency consulting services. 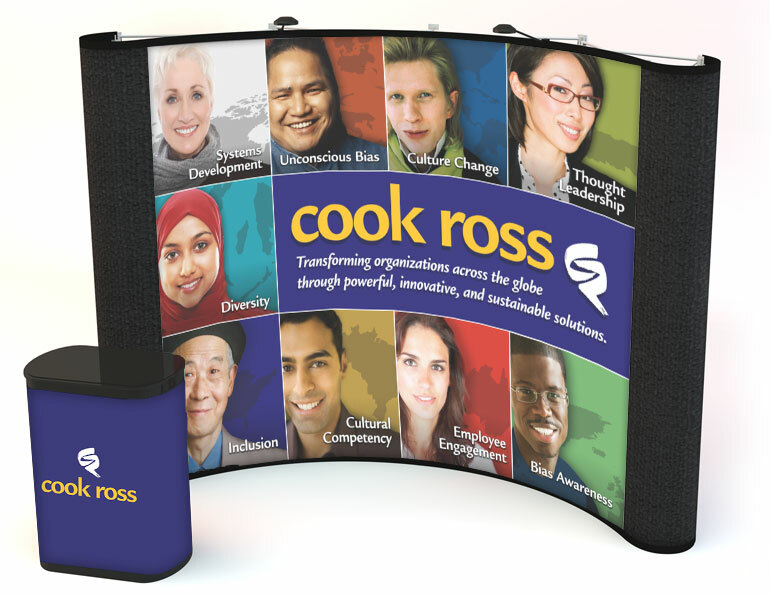 Cook Ross challenged its Xzito creative team to create unique, eye-catching trade show visuals that would encourage their audience to visit their booth and draw them into a conversation. 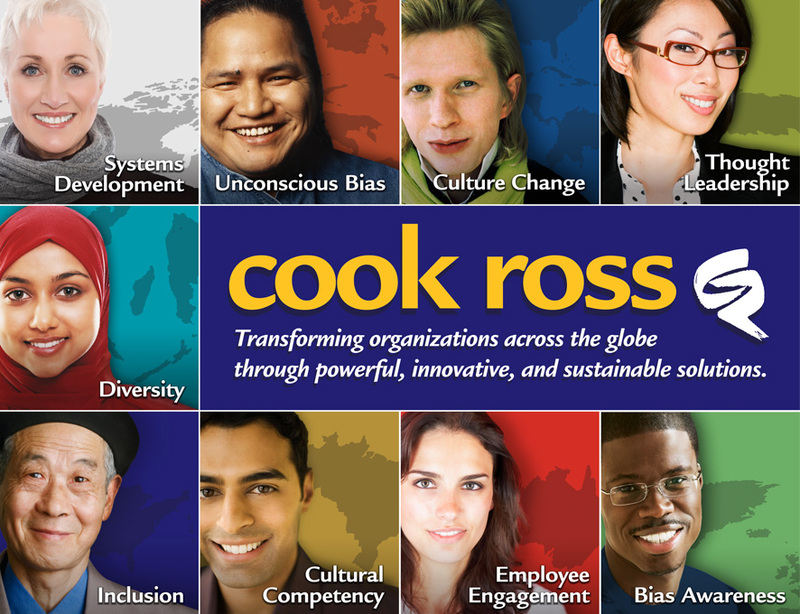 Xzito developed a display to highlight Cook Ross' expertise in cultural diversity and cultural competency in the workplace. 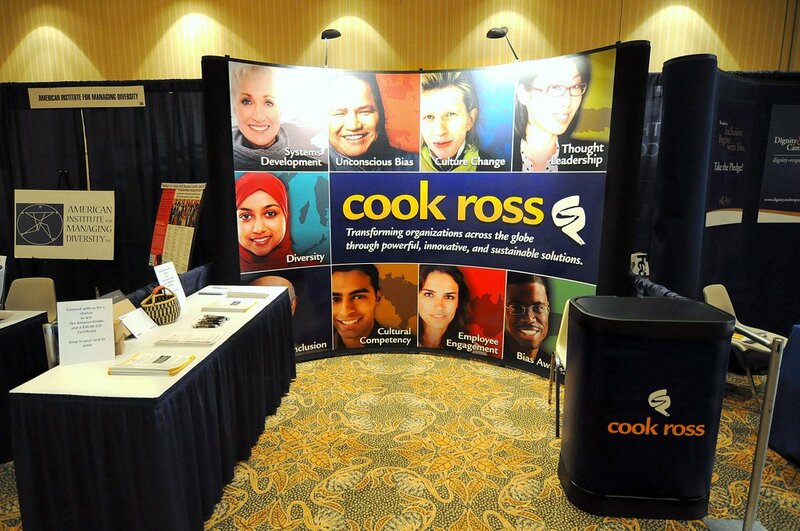 We designed a 10' by 10' pop-up display with visuals, which showcased people of different backgrounds and their impact on an organization. The display's impact was equaled only by its ease of assembly, disassembly and transfer, which is a feature that's highly appreciated by its users. Take a look at the Before and After trade show display! 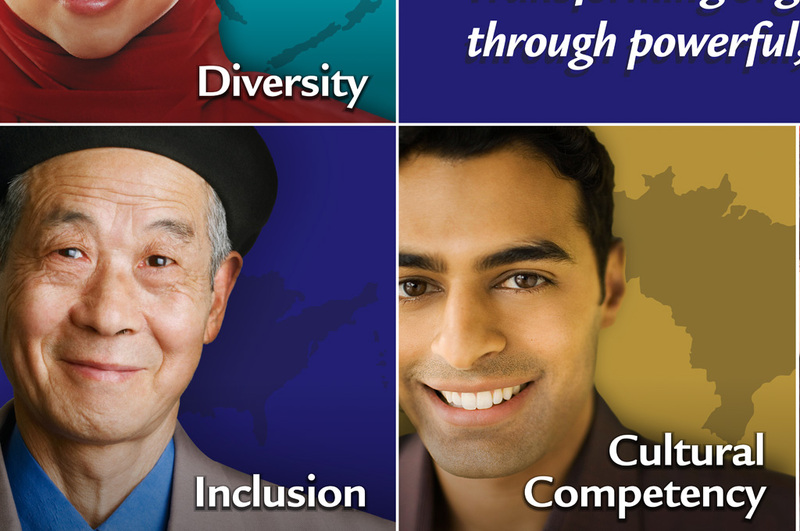 "When our company started working with Xzito, our booth set up for tradeshows consisted of a number of disparate parts which lacked cohesion, had competing messaging, and did not accurately or effectively represent our company, our work, nor the quality of our services. The expert staff at Xzito was nothing short of friendly and professional, working closely with us to construct a clear and concise message, and design a booth that positively represented our company brand and the work that we do--all while staying within our allotted budget for the project. We were very pleased with both the process and the final result, and we look forward to working with Xzito on additional projects in the future."